If you are familiar with Korean variety shows, you may have heard of Battle Trip by KBS. In it, celebrities are divided into pairs. Then, each team will travel to a destination for a fixed period before coming back into the studio to share their experiences. The winner is then determined by which of the teams have had the best experience from their trip. Well during the recent broadcast of Battle Trip, one of the teams have had the opportunity to come to our sunny little island. 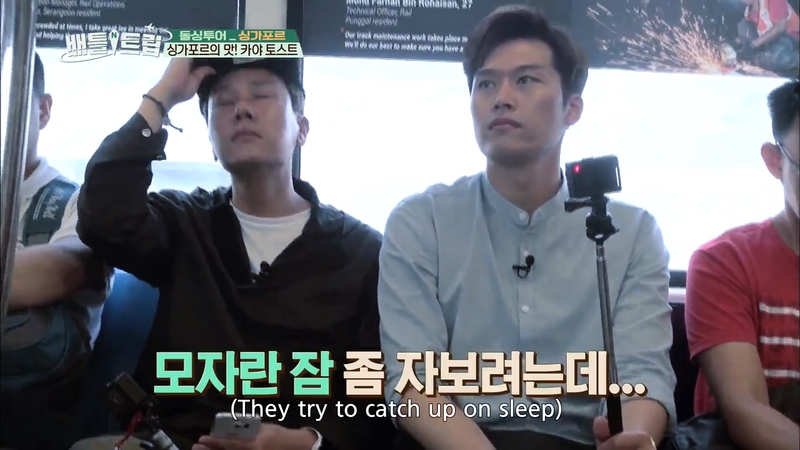 The team, comprising of singer Lee Sangmin and rising variety show star Kim Iljung, first made their way to Incheon International Airport for a midnight flight, after which, they have two days to spend in Singapore. During their overnight flight, they researched on the food that they must eat while they were in Singapore, and they decided that the first thing to do when they landed was to have Kaya Toast for breakfast. So like any other traveler, they headed down to the MRT station at Changi Airport to make their way to Raffles Place branch of Ya Kun to get their Kaya Toast fix. So they sat down on the MRT, thinking that it will be a straight journey all the way down the ten stops to Raffles Place. They then proceeded to catch up on some sleep along the way. And to comedic effect, they kept going back and forth between the Changi Airport and Tanah Merah stations, and this only remembering hearing Expo being mentioned over and over again. After a few roundabouts, they started to realise their mistake. And the gravity of their foolishness. 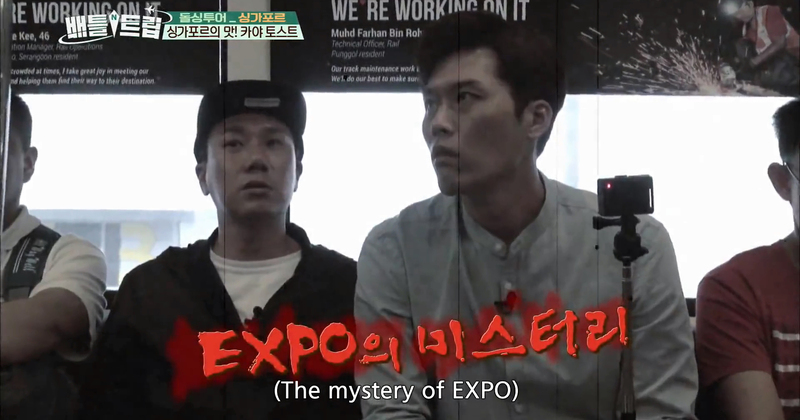 Yup, our Expo is huge, but not THAT huge Mr Kim. After changing trains at Tanah Merah, they were on their way again, and by then, have already spent an hour in our trains. That’s enough to get someone from Changi Airport to Boon Lay. There’s a happy ending of course, they still managed to find their way to the Ya Kun at Raffles Place, and have Kaya Toast in their bellies. And highly recommended to their viewers. +1 to an all-time Singaporean favourite. Travelers, both seasoned and first-timers to a country would have definitely fallen into a similar trap, especially when you are not familiar with that country’s public transportation system. I myself spent close to an hour in a Tokyo train station, trying to figure out which lines goes where. Well the important thing is always research first, which I didn’t, and went all YOLO in Japan. If you’d like to check out the video of their misadventures, it’s down below. Also see what the both of them were up to during their 48 hours in Singapore at the KBS World’s Youtube channel.